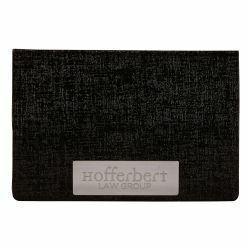 Imprint Method: UNIMPRINTED - This elegant business card case has a magnetic closure. The lid also folds around to form a stand for desktop use. Size: 0.44 " x 3.81 " x 2.56 "